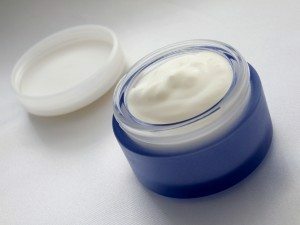 According to a recent study from Johns Hopkins University, a daily skin care regimen might be an elderly patient’s best weapon in warding off bed sores. Inspect all areas, specifically elbows, heels and other bony protrusions. After the sacral area, heels are the second most common site for bed sores. Studies suggest that up to 20 percent of bed sores occur on the heels. Cleanse yourself every day with warm water and mild soap (or, have a family member assist you with bathing). Monitor the moisture of the air around you. Ideally, surrounding humidity should be kept above 40 percent, so as not to dry your skin. Be sure to apply moisturizer to sensitive areas – inexpensive lotion will do. Avoid massaging bony spots. Contrary to previous thought, massage actually wears down skin susceptible to pressure ulcers, rather than strengthens it. If incontinence is an issue, change disposable briefs as often as possible, being sure to apply moisturizer to your buttocks and back. The study notes that at the present time, there have been “limited” studies about the relationship between proper skin care and bed sore prevention. Why is a patient’s hydration level critical to healing bed sores?